When you take a stroll down to your local burger joint and see the slow kid that always smelled faintly of cottage cheese pushing around a mop, you’re usually not too surprised that he didn’t amount to much of anything. In fact, sometimes you might be downright happy that, against all odds, he’s gainfully employed. On the other hand, when you see the class valedictorian working the customer service desk at your local grocery store, you get a feeling of disappointment and feel a bit bad for them, because, even though it’s better than mopping up after spilled Mountain Dew all day, you knew they were capable of so much more. Brink‘s class-based combat system will be a trimmed-down Team Fortress 2, with engineer, medic, soldier and operative (spy) each having their own unique skills and objectives they can complete. Brink‘s class-based system is worthless. All classes play exactly the same except for differences in minor skills and their abilities to complete different objectives. A lot of the fun in class-based combat games comes from mastering a class. Brink makes it hard to do this, especially if you’re playing solo, because unless you’re on a particularly cooperative team you’re probably going to be switching classes depending on which objective you’re trying to complete. Brink‘s parkour will allow you to traverse the ruins of The Ark with ease—fluidly and smoothly. Brink‘s parkour is simple; it’s just not very useful. You can scale small walls, climb over barriers and leap across gaps all by jamming the A button, but the maps are so poorly designed that they rarely ever take advantage of this system, as there just isn’t much more to do with it other than jump over railings and on top of boxes. 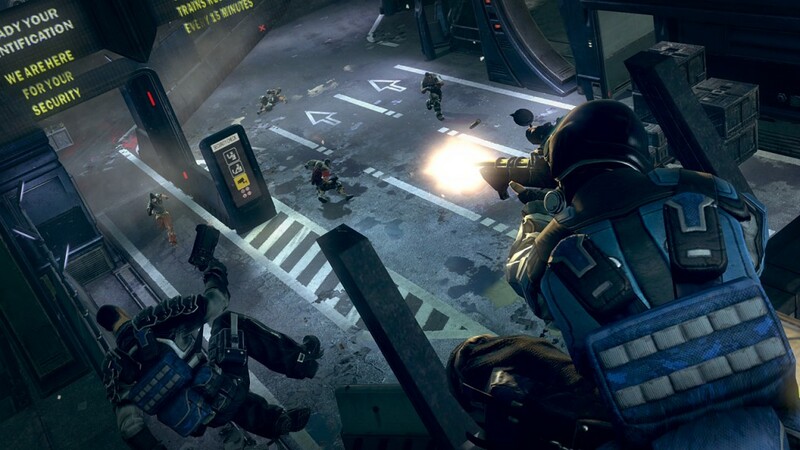 Brink will offer a full offline single-player campaign as well as a world-class online multiplayer experience. Brink barely delivers a full game. The entire game consists of 16 Campaigns and 4 “What if” campaigns. This number, however, is very misleading and artificially inflated because the game only really has 10 maps, but Brink counts each one as being 2 campaigns—one campaign playing as Resistance and the other as Security. The fact that the developer strayed from normal videogame nomenclature by referring to what every other videogame would call “10 maps” as “20 campaigns” is very telling that even they understood that Brink was an incredibly anemic offering. Brink will deliver an engrossing story detailing the conflict between two warring factions on The Ark, a floating utopia that has fallen into disrepair. Brink‘s visually stunning graphics will be similar to Mirror’s Edge with its bold colors, and not just a drab brown-and-grey post-apocalyptic setting. Brink is the ugliest game I’ve played in a while. Art style, character design, detail—all are mediocre at best. Frequently throughout the game, the graphics take awhile to catch up with you, resulting in a lot of low-res popping. On top of this, the promise of bold, colorful graphics was apparently pushed aside for a murky palette of utter boredom. Animation in the game is also awful with many things—especially the parkour moves seem to be missing a good handful of frames, resulting in very jerky, unfinished animations. 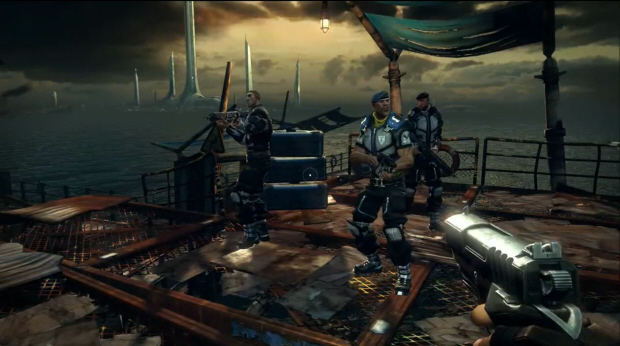 Brink will have unparalleled character customization. Character customization in Brink really isn’t bad; it’s just overhyped. It pales in comparison to most any Elder Scrolls, Tiger Woods or WWE games, but it’s a lot better than picking between Generic Alpha Male #1 or Generic Alpha Male #2. Brink‘s AI will allow for challenging opponents and helpful allies, nearly equal to playing with other people. Brink‘s AI is like playing with or against other people—if they all had cerebral palsy. AI enemies are often kind enough to all line up, single file, and allow me to mow them all down with a minigun to my heart’s content, and my AI teammates generally like dancing in front of enemy turrets and standing idly in doorways. They do not, on the other hand, ever like reviving me if I’ve been incapacitated under any circumstances. Brink will be optimized for a multiplayer experience, being the ultimate game to play online with friends. 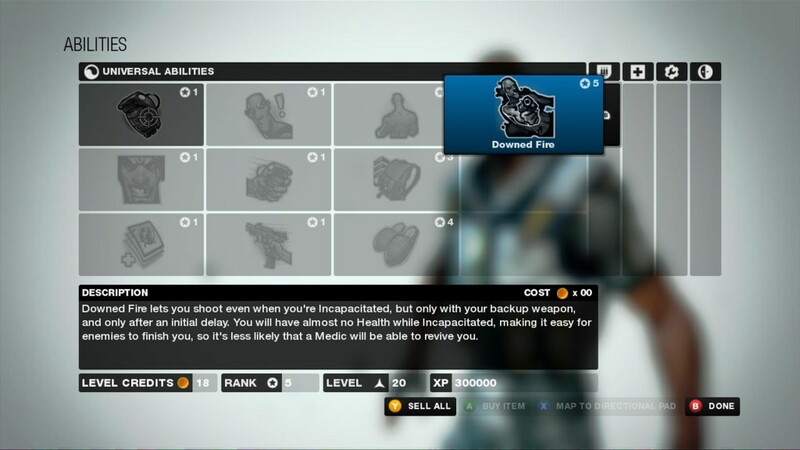 Outside of the fact that encouraging a friend to buy this game is a great way to lose a friend, Brink‘s multiplayer design makes it difficult to do anything with a friend other than play an entire campaign, map-by-map, in the order Brink has chosen. If you want to switch up maps you have to leave the game and re-invite friends into the new one. A headache like this might have been expected in the early days of Xbox Live, but in 2011 it’s inexcusable. Even a simple thing like load times are much higher than they should be. Each map takes a little while to load, but I can live with that. But there’s really no reason that, when browsing around for pants for my character, each pair of pants should take a solid 4 or 5 seconds to load up. Things like this make it astounding that Brink‘s release date was moved up a week when it so obviously should have been moved back at least a year. The worst thing about Brink, though, is that I really, really liked what it could have been. Splash Damage had great ideas coming into this and it’s a real pity that they half-assed every single one, because Brink should have been a new AAA title, combining the best parts of a handful of great games to create the videogame equivalent of Arnold Schwarzenegger in Twins. 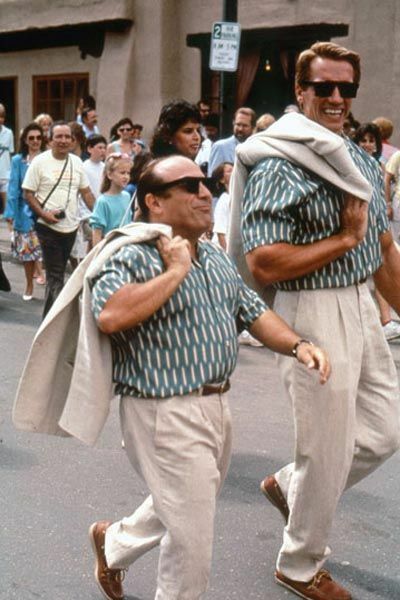 Instead, its lack of polish and effort combined the garbage parts of many games and was much, much shorter than expected—like Danny DeVito in Twins. Guess they shoulda just made a racing game instead. 10 maps, no storyline and weird features. Sounds like a game that should have been offered as freeware. Great review! Though I felt the AI was much worse and what was the deal with the game AI companions obsessing over the enemy health command posts. It’s like that’s their prime objective. I agree with you on the plot, I stopped caring about the goal of the missions half way through the first campaign. This edition of "The GameCola Podcast" features Michael Gray, Paul Franzen, and special guest star Marianne Fenwick.